what you all think about it ? I personally like it alot. I mean, the colours go well with the whole vampire theme (yeah, blood and all). it cool and gothic looking. I'm glad there's no text in it. could it be bigger, to say, fit a 1280x1024? Looks cool from what I can see. 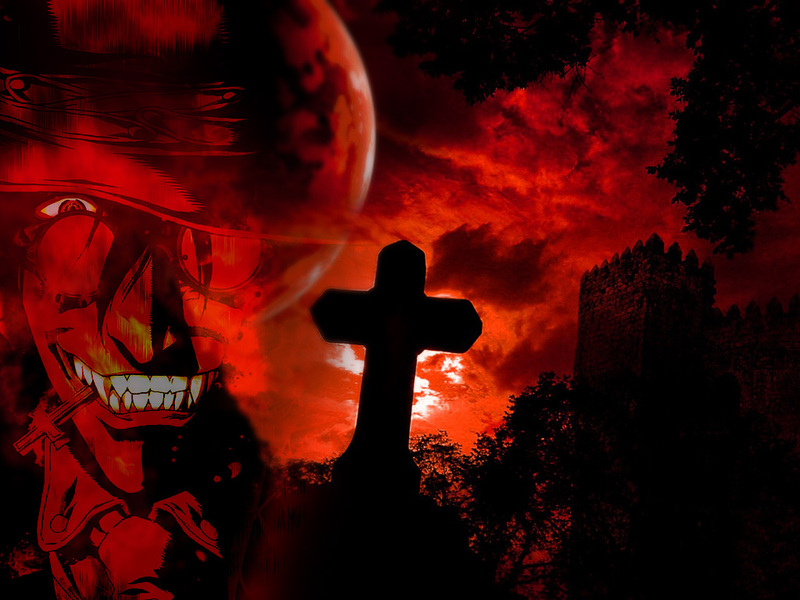 Very nice I love the overlap of Alucard and the red night. Lovely red moon you have back there and the sideways cross in his teeth is a classic touch. Talk about style! Impresive, and red, oh red jijijij. and the cross ia a nice touch. Awesome, with the face comign out of the moon and blending with the rest. Very goo dfirst submission!